The new Audi Q3 is the fun-loving compact crossover that proves adventure doesn’t have to come at the cost of luxury. Head out on your next adventure in the new Audi Q3, the compact crossover that’s sure to garner more than a few stares. The Q3 is dressed to impress with its eye-catching silhouette, LED lights, and Singleframe® grille. 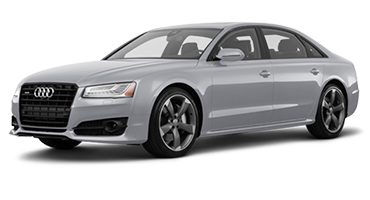 Audi’s iconic four interlocking circles adorn the front, heralding your arrival everywhere you go. Inside you’ll find heated front seats that wrap you in comfort, while the sculpted dashboard and chrome trim paint a picture of contemporary luxury. Whether you’re commuting to Fairport, meeting friends in Irondequoit, or shopping in Webster, the new Audi Q3 ensures you’ll love the drive. Forget about boring road trips. The new Audi Q3 keeps you connected and entertained no matter where the road takes you. Sync your mobile device to the 7-inch infotainment screen via Apple CarPlay™, Android Auto™, or Bluetooth® and stream your favorite playlists. Or stay connected on the go with Audi connect® 4G LTE Wi-FI®, so you never have to worry about missing anything ever again. Wait no longer to discover this innovative crossover; schedule a test drive of the new Audi Q3 with Audi Rochester today. Ensure all eyes are on you when you roll up in the new Audi Q3. This sleek compact crossover knows how to leave a bold first impression, courtesy of its LED lights, iconic front-end, and sporty body. 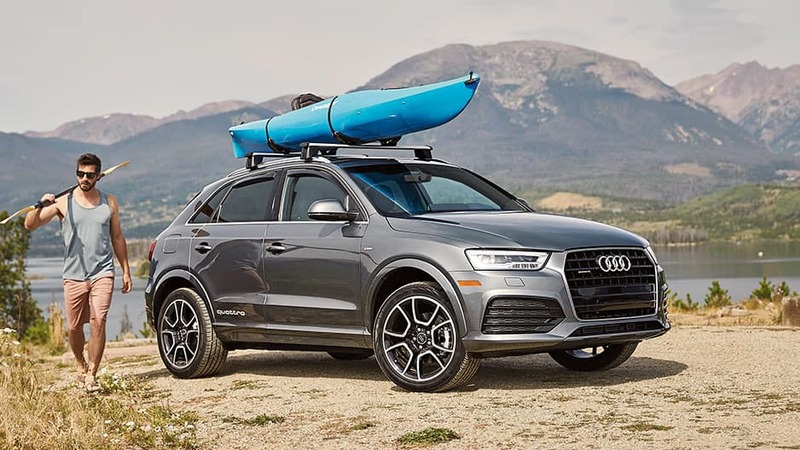 The new Audi Q3’s striking silhouette is sporty and luxurious with sleek lines, eye-catching curves, and Audi’s iconic four interlocking circles emblazoned on the distinctive Singleframe® grille. Standout for all the right reasons in the new Audi Q3 with the 18-inch 5-arm turbine design wheels. Or opt for the available 19-inch wheel to further boost this compact crossover’s curb appeal. Opt for the Audi Q3’s available full-LED headlight that cast light farther down the road than traditional halogen bulbs. In the rear, you’ll find LED taillights with dynamic turn signals, continuing the theme contemporary luxury. Open and close the power tailgate with the press of a button on the Audi advanced key, making it easy to load the cargo area. You can even program the tailgate to stop at a certain height, preventing it from hitting a low ceiling or garage door. The new Audi Q3 features heated side-view mirrors that warm up when you activate the rear defroster, keeping snow, ice, and fog at bay. They also have integrated LED turn signals to ensure you telegraph your intentions to the surrounding vehicles. The new Audi Q3 doesn’t disappoint in interior luxuries. 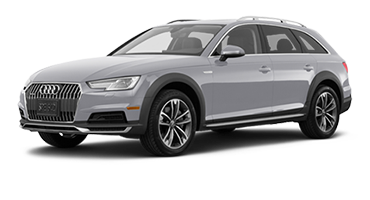 Audi designed this compact crossover to ensure you arrive at your destination comfortably, courtesy of heated front seats, dual-zone climate control, and a panoramic sunroof. Sit back and relax in the new Audi Q3 with a cabin designed with modern comfort in mind. Audi crafted the leather-wrapped three-spoke multifunction steering wheel to fit comfortably in your hands. Meanwhile, the sculpted dashboard adds to the luxury aesthetic and is available in a wood grain inlay that adds a touch of warmth to the Q3’s cabin. With the Audi Q3’s available sport seats up front, you’ll enjoy added comfort and support during your many adventures. 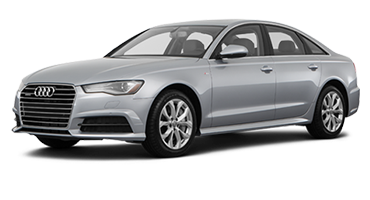 Factor in the standard heated seats, and you’ll be in for one comfortable ride. Dual-zone automatic climate control allows you and your front passenger to select individual temperature settings for both sides of the Audi Q3, ending arguments over whether it’s too hot or too cold. For a compact crossover, the new Audi Q3 is surprisingly versatile. Lower the 60/40 split-fold rear seat and unlock up to 48.2 cubic feet of cargo storage, more than enough for your camping gear or sports equipment. Brighten up your morning commute with the Audi Q3’s panoramic sunroof. Crack open this tinted sunroof to let some fresh air into the cabin. Leave boring road trips in the past where they belong. The Audi Q3 comes with the latest in advanced technology such as Apple CarPlay™, Audi connect®, and Bose® Surround Sound, ensuring your morning commute is enjoyable. Audi connect turns the Audi Q3 into a mobile 4G LTE Wi-Fi® hotspot capable of supporting up to eight devices and powering the available MMI® navigation plus system. With this system, you’ll have access to Google Earth™ with 3D satellite imagery, local traffic and weather, news, and so much more right from the 7-inch touchscreen. The new Audi Q3 gives you easy access to your favorite phone functions via Apple CarPlay, Android Auto™, and Bluetooth®. Sync your device to the 7-inch touchscreen and stream your favorite music, answer calls hands-free, and use navigation apps without picking up your phone. It’s not enough for the Audi Q3 to stream your favorite music – it needs to surround you in concert-quality audio. The Q3 achieves this feat with the Bose Surround Sound system, featuring 14 speakers and 465 watts of power. With the Audi advanced key, you can open the Q3’s doors and start the engine with the press of a button, without ever having to remove your key from your pocket. Back out of any parking spot or driveway with ease courtesy of the Audi Q3’s rearview camera. 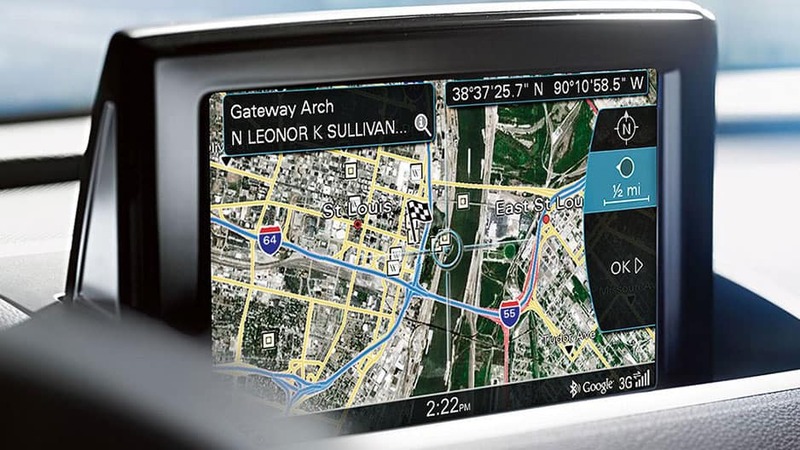 When you put the Q3 in reverse, the 7-inch display screen shows a live feed of the area behind you, complete with dynamic guiding lines to lead the way. The new Audi Q3 may be a luxury crossover, but it still offers the latest in advanced safety technology. It features advanced airbag protection and driver-assist technologies, ensuring you and your precious cargo travel safely. While you do everything you can to detect and prevent accidents, sometimes the unthinkable still occurs. If it does, you can rely on the Audi Q3 to have your back with its Advanced Airbag Protection System. It features six airbags that inflate in various stages relevant to the severity of the crash, so you can feel safe on every adventure. Audi’s engineers designed the Q3’s frame to better protect you and your passengers in a collision. The reinforced frame helps absorb energy and disperse it away from the main cabin while also remaining rigid where you need it most. With the available Audi side assist, the new Audi Q3 uses radar technology to detect when a vehicle has entered your blind spot. When it detects a vehicle in your blind spot, it alerts you with a visual indicator on the corresponding side-view mirror. No one wants a flat tire to leave them stranded on the side of the road. The Audi Q3’s Tire Pressure Monitoring System works to prevent this from happening by monitoring all four tires and alerting you if one or more becomes low. 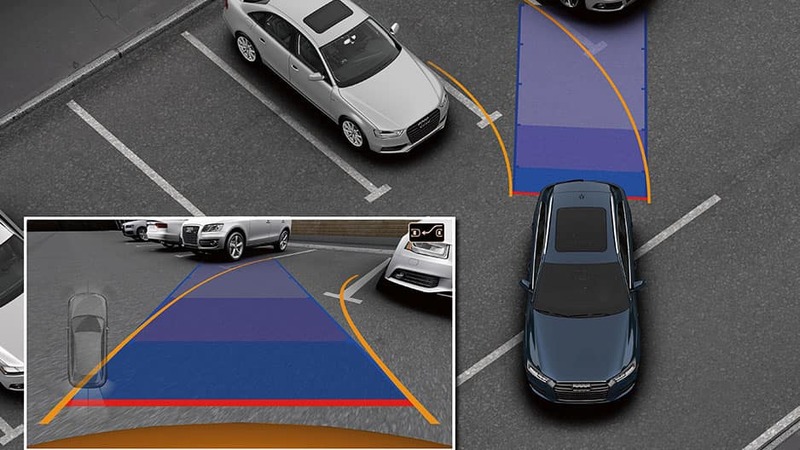 Working with the rearview camera, the Audi Q3’s standard parking system plus uses sensors in the front and rear bumpers to make parking in tight spots easier. Based on the position of the steering wheel, the system paints dynamic lines on the display screen to show what direction the Q3 is headed. Whether you’re cruising through downtown or heading to your favorite camping spot, the new Audi Q3 is ready. 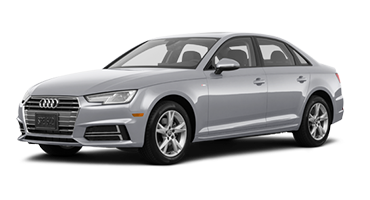 This fun-loving crossover features quattro® all-wheel drive, Audi drive select, and Hill Descent Assist, ensuring nothing stands in your way. Enjoy zippy performance with the Audi Q3’s turbocharged 2.0-liter TFSI® engine that kicks out up to 200 horsepower and delivers up to 28 mpg highway. 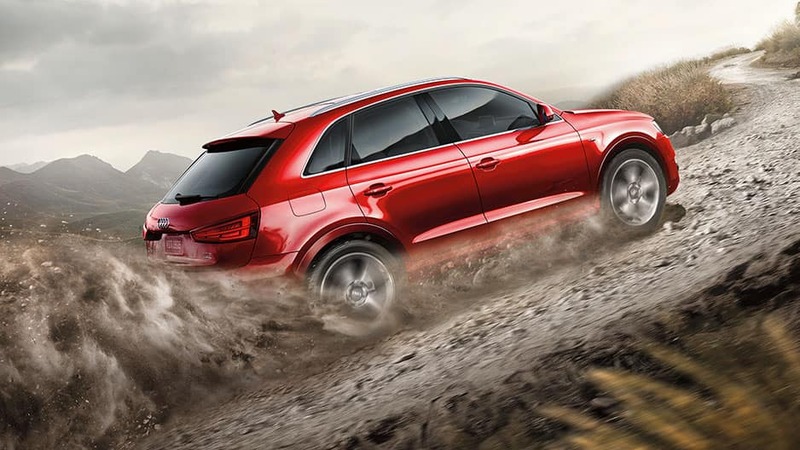 The Audi Q3 is prepared for any driving condition with the legendary quattro all-wheel-drive system. This system helps maximize traction and improve handling by sending power to the wheels with the most grip, ensuring the Q3 remains in control of the situation. The new Audi Q3’s drive select system allows you to choose from three driving modes that adjust the Q3’s performance to match your environment. Choose Comfort mode for boosted steering assistance, Dynamic for more responsive throttle, or Auto for the most balanced ride. This standard system gives you added control over the Audi Q3 when going downhill. It applies even brake pressure between all four wheels, so you stay in control while moving slowly down an incline. The road’s twist and turns are no match for the Audi Q3’s Electronic Stability Control system. The system monitors and engages the anti-lock brake system, traction control, and torque vectoring to maintain stability and traction when it detects wheel slip. Get ready to have all eyes on you in the new Audi Q3. Sleek and stylish, yet compact, this luxury crossover has an energetic 2.0-liter turbocharged engine living under the hood. 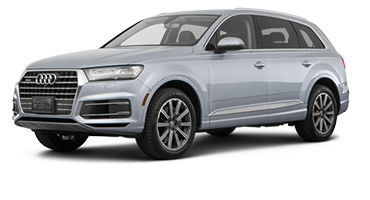 Factor in the quattro® all-wheel drive and Audi drive select system, and this lively crossover is ready for every twist and turn life throws your way. While it may be a compact crossover, the new Audi Q3 is more spacious than you would expect. Lower the 60/40 split-fold rear seat and unlock up to 48.2 cubic feet of cargo capacity. That’s plenty of space for your camping gear, sports equipment, or whatever else you need to bring along for the ride. You don’t need to just take our word for it, though. 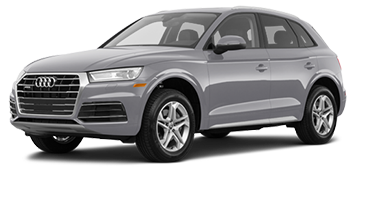 Call today and schedule your test drive of the new Audi Q3 with Audi Rochester. 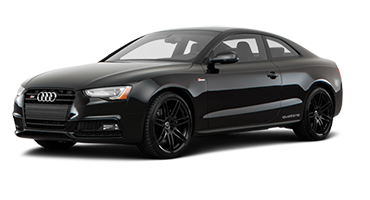 *MSRP: Starting MSRP of $32,900 for a 2018 Premium Q3 2.0T with automatic transmission. 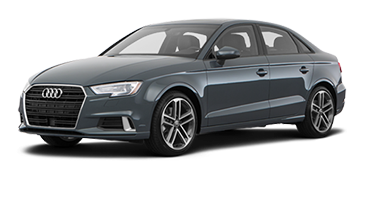 Model shown is a 2018 Premium Plus Q3 2.0T with automatic transmission shown in Daytona Gray with a starting price of $36,375. Optional features shown. 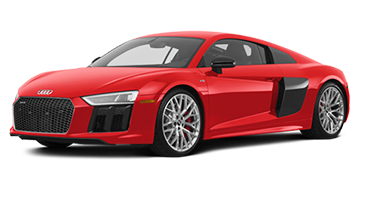 Prices exclude $975 destination, taxes, title, other options and dealer charges. Dealer sets actual price. *Fuel Efficiency: 20 city/28 highway mpg. EPA estimates. Your mileage will vary and depends on several factors including your driving habits and vehicle condition.